As soon as September arrives, I get all excited. Not only is it my birthday on the 6th, but the season starts to transition from summer to autumn, which is my favourite time of year. Layering up in chunky knits, the crisp air, cozy nights in, burning candles and the festive cups from Starbuck's - I love it. Best of all, I of course adore the beauty trends and, predictably, my favourites from last month reflect the changes that I've been making when it comes to my makeup. 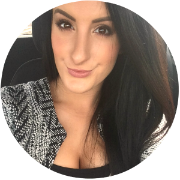 To avoid looking totally washed out and deathly pale, I wear bronzer all year round. But, as we hit the cooler months, I switch to a completely matte formula. Complementing the velvet skin trend that always reappears this season, shimmer-free bronzers breathe a bit of life back into the skin, without being too intense or obvious. 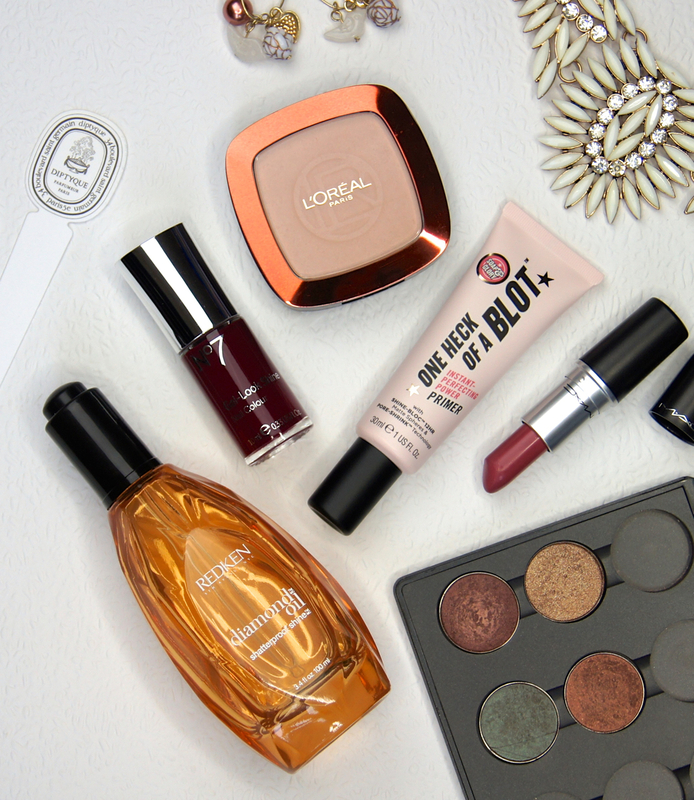 At the moment, my favourite has to be the Loreal Glam Bronze Bronzer in 00 Blond Sun. For a more natural look, I picked up the lightest shade in the range, which adds a subtle warmth to the skin, without looking overly orange or muddy. Being matte, it's also a great product to add definition and, as it isn't as grey or ashy as some contour powders can be, it always looks flattering. Although the powder is highly pigmented and the gentlest dusting will give you plenty of colour, the finish is never too strong. 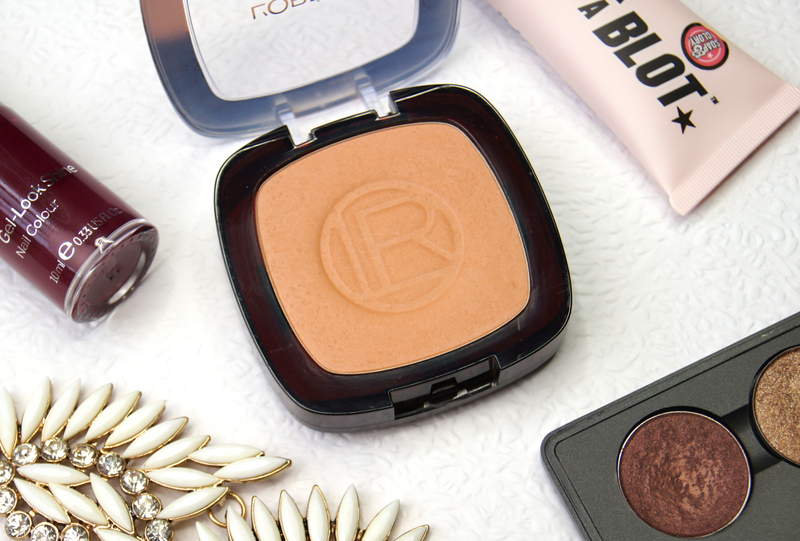 With the formula being so smooth and buttery-soft, the bronzer blends effortlessly to give a streak-free finish. Hair oils are such an essential for keeping my long locks in check, but I've never really found one to rival MoroccanOil. 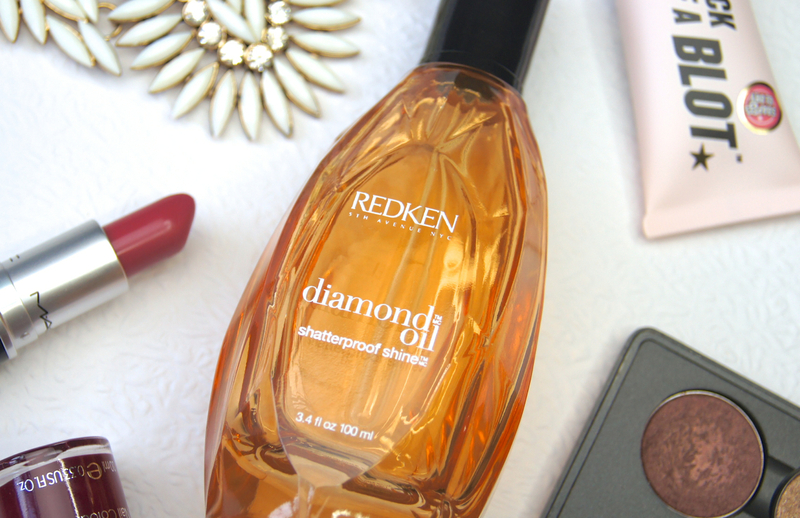 Then I rediscovered a bottle of the Redken Diamond Oil Shatterproof Shine Hair Oil in my haircare drawer, during September and I fell in love. Free from silicones, which is pretty rare for a hair oil, Redken's creation is more natural than lots of the cult, industry favourites. Using the goodness from plant and fruit oils, including coriander, sunflower and apricot, the treatment works to truly nourish the hair, rather than just coat it on a superficial level. Instead of being thick and greasy, the consistency is light and doesn't weigh the hair down whatsoever. At first, the thin texture feels like it may not be concentrated enough to be effective. But, you only need a couple of drops for the oil to transform the hair, even with super long lengths like mine. Once blow-dried, my hair is left silky soft, free from frizz and with a mirror-shine - what more could you want? It helps that it smells divine, too! From September onwards, I put away my lighter, neutral palette of MAC Eyeshadows and show my darker, more colourful palette some extra attention. There were four shades in particular that saw a lot more action throughout September - Mulch, Twinks, Tempting and Club. 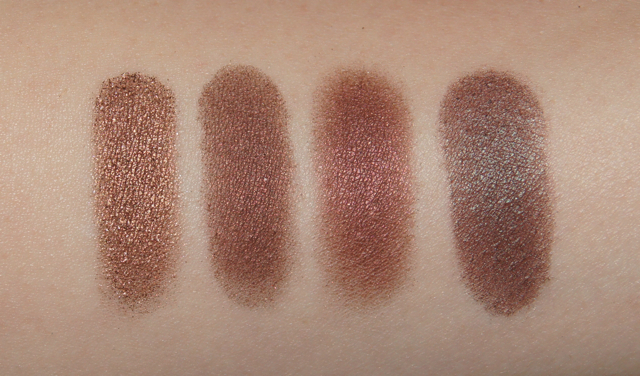 During the daytime, I love wearing either Mulch (a deep, warm bronze with slight red undertone and golden shimmer) or Twinks (a mid-toned, plum brown with pearl) blended all around the eye to create a smokey, undone kind of effect. 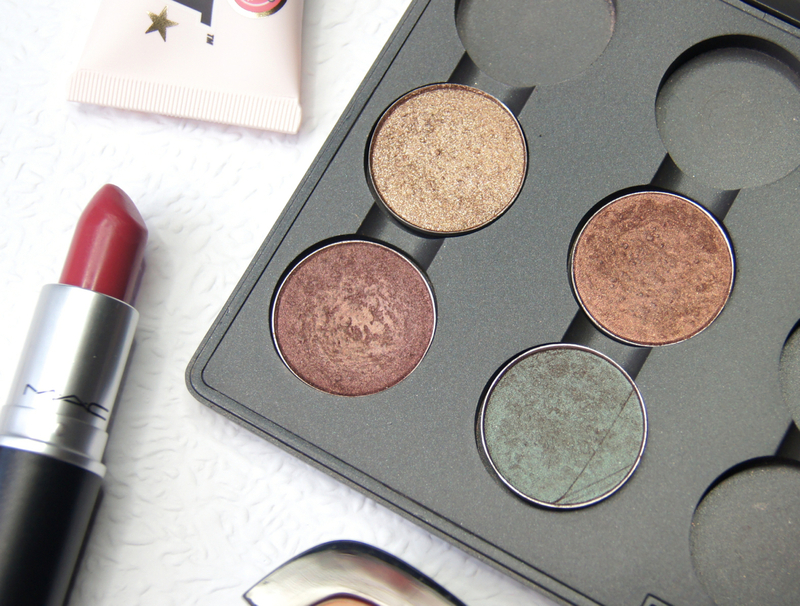 For the evenings, I've been reaching for Tempting (a rich, cocoa brown full of chunky, gold shimmer) when I fancy creating more of a glitzy, glittery look and Club (a reddy brown with duochrome green pearl) is just such a beautiful, unique shade when you want to make a statement. No matter how many different eyeshadows I try from both drugstore and even ultra premium brands, I always come back to my MAC palettes. Usually, I only see a marginal improvement in how pore-perfecting primers help my makeup look or last, so they're never something I get excited about or bother to use very often. 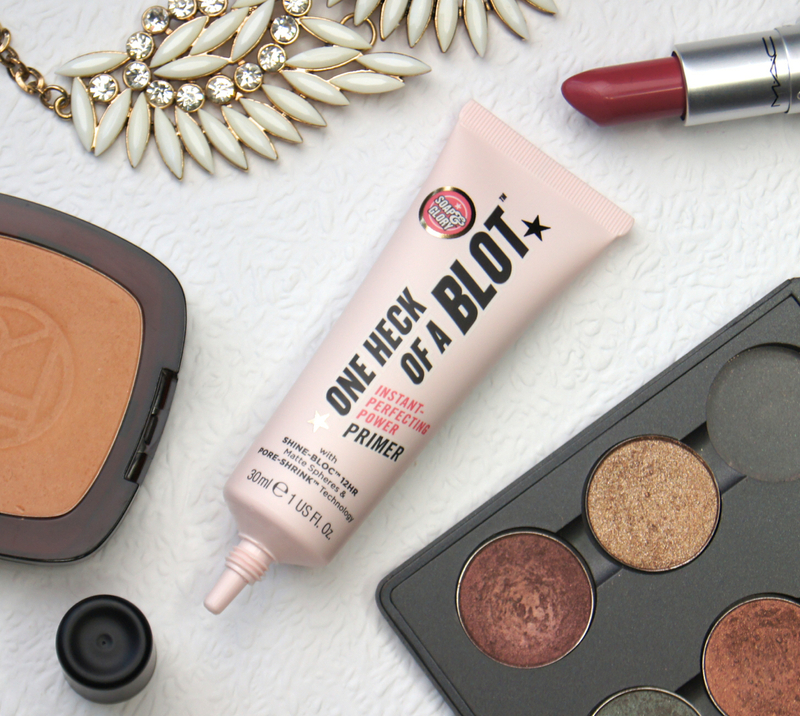 For that reason, I don't quite know what came over me when I decided to pick up the new Soap & Glory One Heck Of A Blot Primer on a whim. Fortunately, this just happens to be the best, cheap(er) primer I've ever used. Seriously. Considering the formula is mattifying and silicone-based, it doesn't feel too dry or suffocating on the skin, but creates a flawless finish. It has such a perfecting, blurring effect and prevents any greasy oils from disrupting the look of any products you apply over the top. Best of all, it keeps your base looking exactly like when you first applied your makeup, all day and night, without the need for any concealer top-ups or powder blotting. Keep your eyes peeled for a full, upcoming review of this miracle worker being posted on the blog! Before I dive straight into wearing darker, lip colours, I have to ease myself in gently and work my way up to the likes of Nars Cruella or Charlotte Tilbury's Glastonberry. 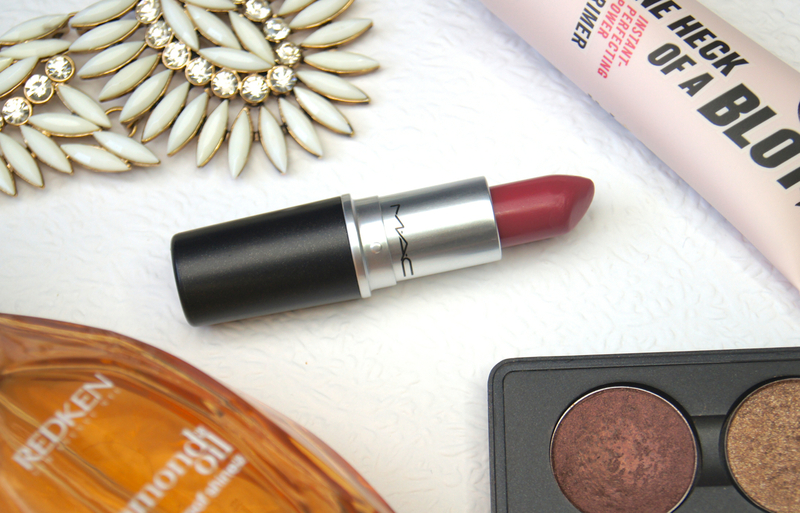 Over the past month, I've been wearing MAC Craving Lipstick non-stop. A deep, raspberry/plum shade, it's such an autumnal shade, yet isn't too much of a shock to the system after wearing so many nudes and peach hues during summer. Having an amplified creme formula, this lipstick has such a high level of pigment and gives an opaque finish in just one swipe, lasting for hours thanks to the slight stain it leaves behind. Creamy and moisturising, it feels comfortable to wear all day and with the finish having a slight sheen to it, it helps to create the illusion of a plumper pout. At the beginning of September, I decided to finally rid my purse of the mass of money-off vouchers for No7. Their Stay Perfect Nail Colour in Damson Dream has been an autumn staple for me, for years, so I had another polish in my sights. 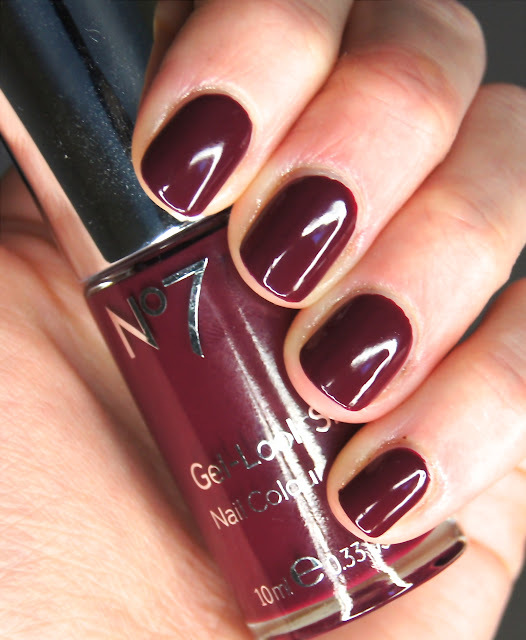 Keeping with the seasonal colour palette of berry and plum shades, but trying a different formula, I decided to go for the No7 Gel-Look Shine Nail Colour in Deep Wine. Little did I know that I'd be wearing it on my nails for a solid month. As the name suggests, Deep Wine is a dark, burgundy shade with a raspberry undertone. Providing opaque colour in one coat, sometimes with just one swipe of the wide brush, this formula is such a joy to use and gets the job done in minutes. With a rounded tip, the brush allows you to get close to the base of the nail, without flooding the cuticles. Having such a smooth, thick consistency, the formula is mess-free and dries to a perfectly even finish that has such a patent, high-shine. Surprisingly, it doesn't take long to dry, either. Long-lasting, the durable formula only shows signs of slight wear at the tips after a full week of wear, with no major chipping. 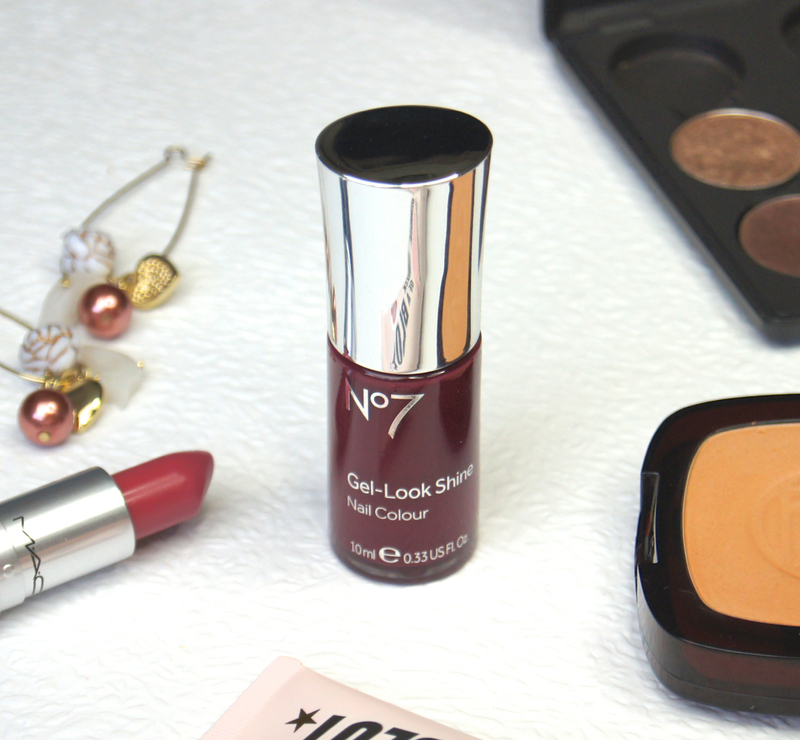 If you consider painting your nails a beauty chore, then the No7 Gel-Look line is definitely one to try! Great September picks, I love hair oils so much! I always use one after I wash my hair, but this one sounds great - I must try it. Some amazing products you have picked up, hun! I love your eye shadow shades and No:7 nail polish.Think i will definitely pop in Boots tomorrow and get my hands on it. It is gorgeous.